Argentina is in the throes of a financial crisis. 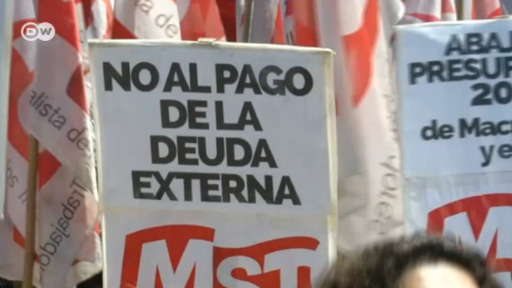 President Macri is trying to negotiate a loan from the International Monetary Fund, but could that just make matters worse? Inflation has hit 25 percent, the Argentine peso has lost about 20 percent of its value against the US dollar, and the federal budget is in deficit. The government hopes the IMF loan will get the country back on track. Argentina's parliament has approved a pension reform bill following violent protests in the capital, Buenos Aires. More than 150 people were injured in the clashes. Facing the harsh realities of global markets, Buenos Aires and Ankara have taken different paths to drive their domestic agendas. But, as global contagion fears recede, will Turkey follow Argentina and take its medicine?